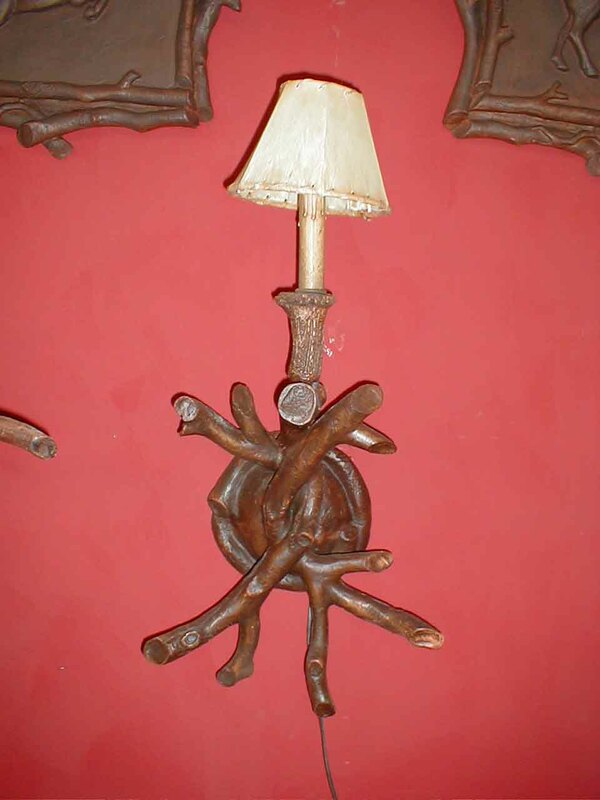 Description: One light sconce. Has crossed branch. Hand painted resin. Takes 60 watt bulbs and has drip candle covers. Resin &steel. Shades extra.